Spread over 240 hectares on a plateau more than 3700 metres high in the mountains, you will find Marcahuamachuco, the pre-Incan site embodies all the evils that have befallen Peru’s archeological treasures. This might become the next tourist trap like Machu Picchu. Head on to Huamachuco province if you want to take part in this, the next wonder. This entry was posted in Peru on 2011/11/28 by Trailsurfer. Many readers have found this blog while searching for Machu Picchu. Without further a due here are some quick facts and links to send you on your merry way. Inaccessibility and vegetation have kept Machu Picchu relatively intact during a very long period of time. Although Machu Picchu will never be visited by a billion camera happy Chinese UNESCO has expressed some concern for the 400 000 tourists that do visit Machu Picchu each year. Tourists leave a rubbish trail and tear on the environment but since cash is king the Peruvian authorities ignore their pleas. Its up to you to give your grandchildren the opportunity to see this wonder. The connection with Cusco consists only of a narrow railway. The last stop of road from Cusco is Ollantaytambo, about two and a half hour train ride from Machu Picchu. Ollantaytambo can be reached by car or bus from Cusco. A popular alternative to the train is to hike along the Inca Trail. Nowadays you require a permission to hike the trail, which is led by guides. It is also possible to rent a helicopter to fly to Cusco and Machu Picchu (if you are like really wealthy). Once you get to Cusco you cannot walk many meters until a guide or representative from a travel company offer you ‘the best package’ to Machu Picchu. Do shop around and do not let them stress you into an on-the-spot purchase. And do remember to pray to the weather gods that there will not be fog or rain when you get to the ‘magic kingdom’. 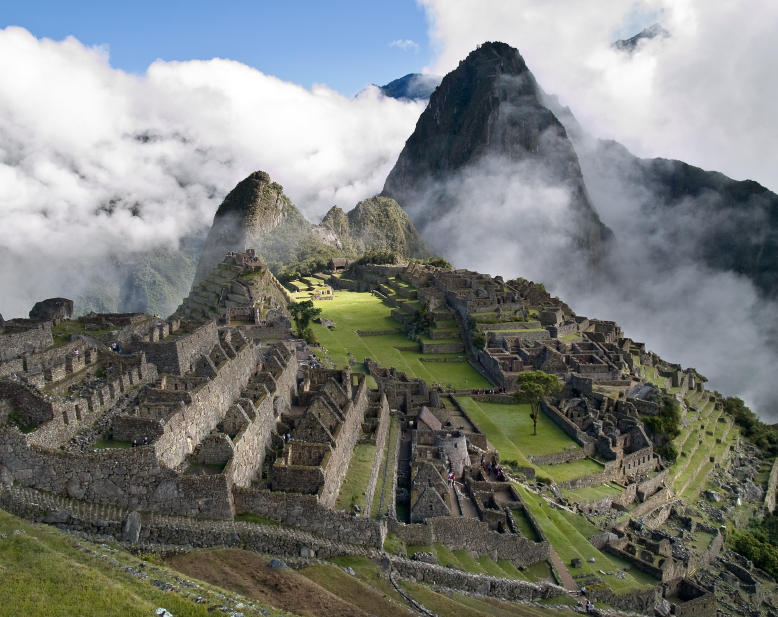 Read Wikitravel for up-to-date facts on Macchu Picchu. Check out this video on YouTube. It will inspire you. Here is a good article about Machu Picchu. This entry was posted in Peru on 2011/01/31 by Trailsurfer.